Top Five Cameras For 2019 - Which? 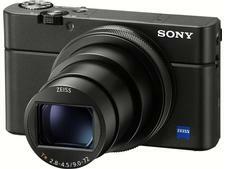 Our expert view on the best digital cameras tested at Which? All models deliver excellent picture quality and are easy to use. Camera technology has moved on in recent years - resolution, speed and picture quality have all improved and you can pick up an excellent camera for a great price. Here we round up the very best cameras amongst the hundreds of cameras we test each year. Whether you're looking for a point-and-shoot compact model, a bridge camera that offers you more control or a DSLR that will deliver the ultimate in picture quality, you'll find our top scoring models below. Join Which? to see the products behind the scores in the table below. Already a member? Log in to see all the information. One of the few compact cameras that actually includes a viewfinder, this camera is simple to use and it feels well built. Its great as an alternative if you don't want to carry around a compact system camera or DSLR, and it works well as a camera to take away on holidays because of its compact size and the array of features it offers. Find out which camera we're talking about by logging in or taking a Which? trial. A premium compact camera that easily fits into your pocket, can shoot high-quality photos and video, and has a high level of control. It doesn't have any unnecessary features - it just gets the job done. One of our top-rated bridge cameras, this is a highly versatile camera with fantastic image quality. It has a large sensor and long zoom to get you close to the action, plus any budding videographers will welcome the addition of 4K video recording. 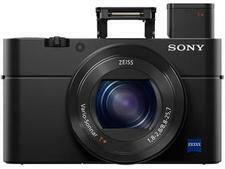 More advanced than other compact system cameras we've seen, this camera delivers top-notch photo quality with continuous autofocus and subject tracking. 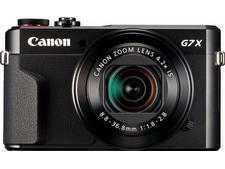 It's the type of camera that appeals to those who capture sports, nature and portrait photography. This entry-level compact system camera has some hi-tech features, such as a swivelling touchscreen monitor, wi-fi connectivity and an advanced phase detection auto-focus, which should help you get sharper shots in any situation. Our tests go further than those carried out by other organisations, and because Which? is independent and does not accept advertising or freebies, you can trust our reviews to give you the full, honest and impartial truth about a product. Which? tests more than 100 cameras a year. We put every model through our rigorous lab tests to make sure we can recommend the best camera for you. There's nothing more important with a camera than the quality of the pictures it takes and that's why when we test cameras we take indoor shots, outdoor shots and put the flash and zoom through its paces. This lets us give you clear advice on which camera can take great shots which ones will give you blurred lines and red eyes. But we also go beyond picture quality. Will the automatic scene modes and auto-focus give you a decent snap, can you see what you're shooting on the viewfinder and how easy is the camera to use.